Scroll down, choose your Laura Plantation tour and buy your tickets now! The Plantation Store Ticket Office opens at 9:30 am. First tour of the day begins at 10:00 am. Final tour of the day begins at 4:00 pm. *Note, we operate on a first-come, first-serve basis. We do not take reservations unless you have a group of 20+. At Laura: A Creole Plantation (1805), step beyond the myths of the American South and walk in the footsteps of 4 generations of one Louisiana Creole family, both free and enslaved. Take the top two most popular and most visited historic attractions in Louisiana and locate them in the heart of New Orleans Plantation Country. Hear about the fascinating stories of the homes and their histories. Experience plantations in the depths of the Old South. 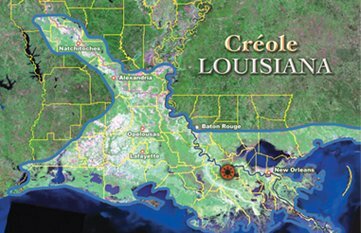 The great culture divide that is Lousiana is illustrated in two very different plantations: One Anglo, the other Creole. One flaunting its wealth, the other living in rustic simplicity. Learn about the fascinating stories of the homes and their histories. First stop - the beautiful Manchac Swamp where you'll enjoy a tour of our privately owned swamp. History, architecture, beauty and adventure can be found at each of the plantations that we visit along the legendary River Road. Historical and educational tour of Laura Plantation: Louisiana's Creole Heritage Site or Oak Alley Plantation. Step into the Creole world with a classic New Orleans plantation tour and round trip transportation to and from your hotel. Step back in time to Laura Plantation. Enjoy a narrated antebellum adventure with a professional tour guide. Experience the best of the Louisiana countryside on this specially crafted tour! An unbeatable combination of historical sights, wildlife adventures, and delicious southern cuisine awaits ! Travel by air conditioned mini bus from New Orleans to Plantation Country to visit Laura Plantation. Visit Laura Plantation, "Louisiana's Creole Heritage Site" on the banks of the mighty Mississippi River. Take a trip down to Louisiana's two most visited plantations; where time stands still and sugar was King with Louisiana Tour Company!